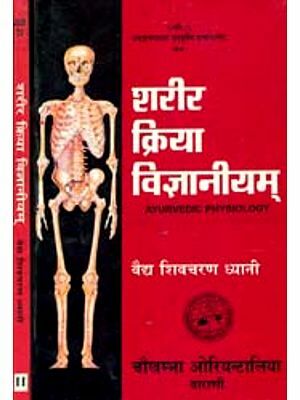 Preface The book "Physiology in Ayurveda" in English is written primarily for the students of B.A.M.S. & M.D. (Ay) course of Indian Universities, keeping the context with the recent changes in medical education and event of core curriculum. This book provides the detail knowledge and special emphasis has been given to dosha, dhatu, upadhatu and mala with modern correlation. M C Q s have become an important part for Post Graduate entrance examinations. Without extensive practice, MCQs cannot be answered, as they need instant recollection from memory. In conclusion, I would advice my students to use this book concurrently and according to their own needs. Their aim should be to understand the concepts and principle involved in Ayurveda physiology and not mere memorization of the facts. My efforts will be successful if students achieve the real benefit from this book. It is my grate privilege to express my heartiest gratitude and indebt ness to my principal, Dr. V. L. N. Sastry, Colleagues, staffs of S.J.S. Ayurveda college, Chennai, for their proper guidance, through supervision, inspiration, valuable suggestion and constant encouragement to complete this book. 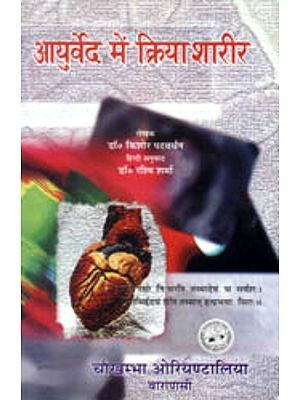 I express my thanks to my students Shakti, Tamil, Abhisekh, Satya, for their help for completing this book in due time. At last but not least I offer my sincere gratefulness to my parents, brother, sister, wife and my only son for their constant encouragement during my life and to complete my book in proper time.